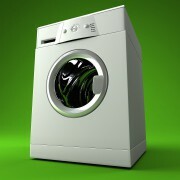 One of the great inventions that is often under appreciated is the washing machine. Doing laundry is always a chore, but we have it pretty well off compared to our ancestors when it comes to washing our clothes. Lee Maxwell is a Collector of the Old and Unusual. Maxwell has a washing machine museum. In this video, Maxwell gives us a history tour on the Maytag washing machine. It is quite fascinating to watch the transformation of the machine to the technological piece it has come to be today. Watch the video to see how the washing machine has evolved over the years and appreciate the ease of uniform rental services that handle all of your laundering! Establish a uniform system for your employees to keep them looking their best every day. Find out how renting or buying your uniforms is the right solution for you by giving us a call. We will set you up with a uniform service expert who can set you up with the perfect laundering solution for your business.